I was reluctant to post this as I don't want to seem like I'm bragging about the gifts I received this Christmas. Not everyone is as fortunate as I was, I'm well aware of that, so please don't think I'm trying to shove how lucky I was in your face. 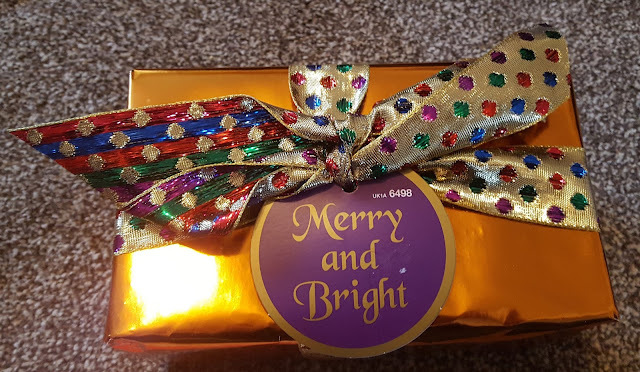 I enjoy reading these kinds of posts because I'm nosy, and I like to see what other people opened on Christmas Day, and I hope those reading this will be the nosy type too! Christmas Day - In-Laws and Mother! At the in-laws, I also opened all the gifts from my lovely friends, and those feature here too. From my best friend, Jenny, a "Cats" colouring book! From my friends Rikki and Leia, "The Ultimate Collection" colouring book! Honestly, I am so lucky to have friends who know exactly what I like. 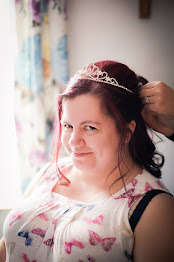 Cats, colouring books, smellies, chocolate? It's like they can see into my soul! Haha. 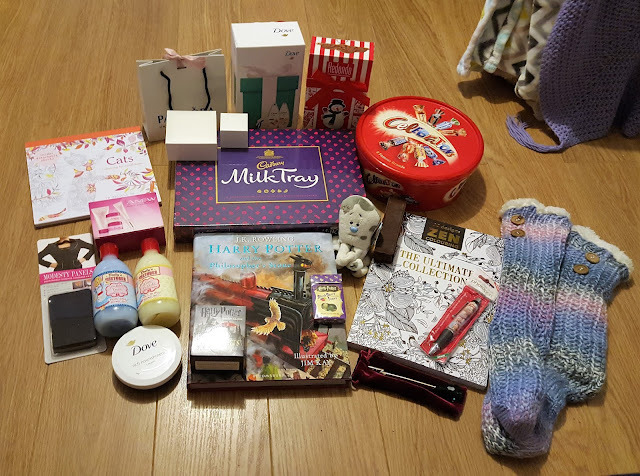 Thank you to my lovely friends who bought me such amazing gifts. My Blue Nosed Friends - Octopus! I feel so lucky to have such lovely in-laws. They remember the things I say throughout the year to buy me the perfect presents, and they go above and beyond; I never expected a Pandora bracelet! 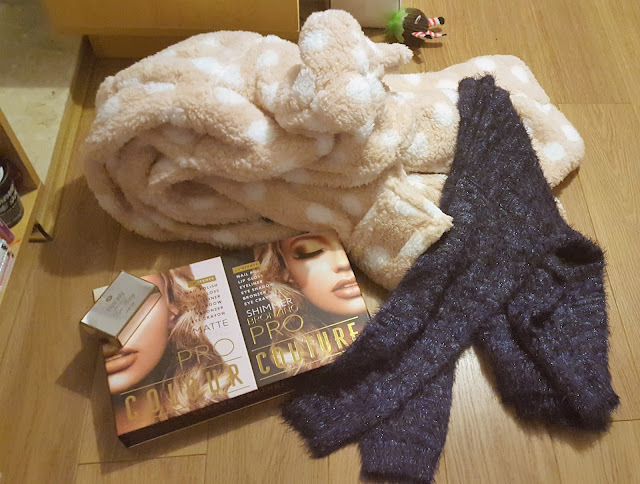 Thank you to my lovely in-laws for such wonderful Christmas gifts! 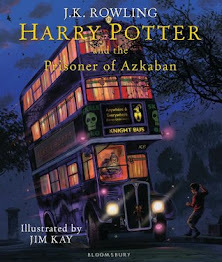 Harry Potter and the Philospher's Stone, the illustrated edition! I feel very lucky to have such a thoughtful other half. And if he doesn't know what to get me, he'll let me choose. Win win! 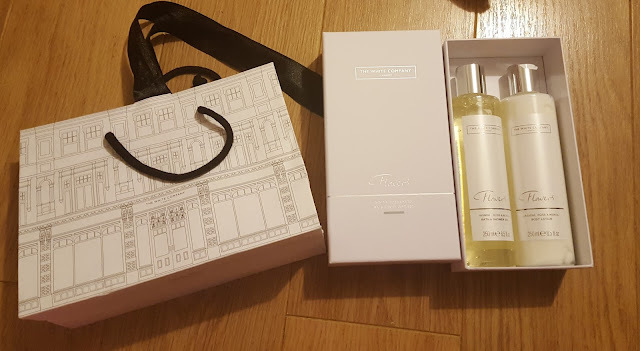 Thank you, for my lovely gifts. They were all so perfect. My mother, who we visited later in the day, had some lovely gifts to give too! Bubblegum and Dolly Mixtures scented shower gels! Harry Potter snow globe and sticker book! The cosiest, fluffiest, warmest slipper booties known to man! I'm so lucky to have a mother who remembers all the things I like, all of my favourite things. These gifts are all so perfectly tailored to me; I love fun smelling shower gels, and anything Harry Potter. She always buys me the most gorgeous jewellery and whenever I wear it I'm reminded of her. Thanks mum for these amazing presents! 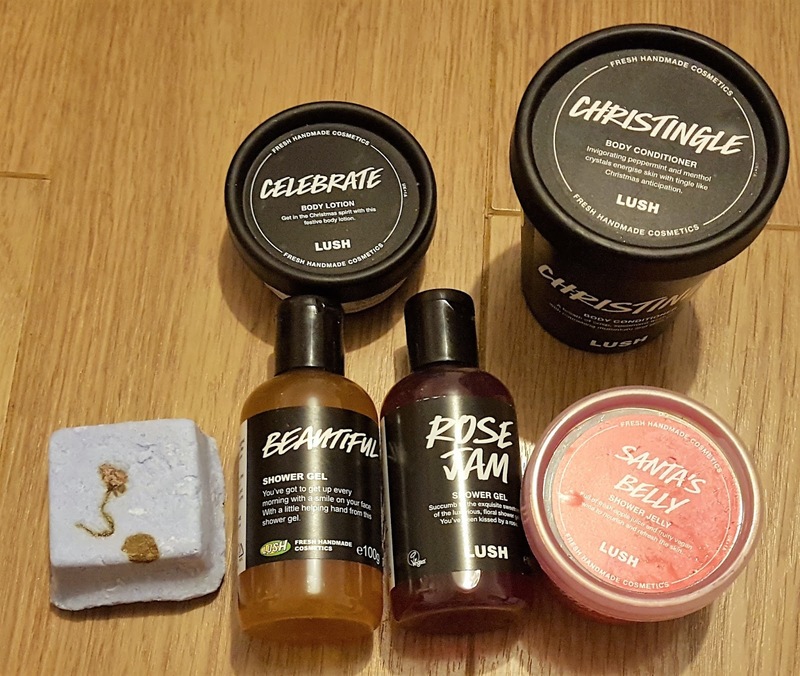 I was thoroughly spoilt this year with Lush goodies, my newly discovered favourite shop! I'm so lucky to have friends and loved ones who spoil me. Thank you Sarah and Chris for my lovely Lush goodies, which I shall really enjoy using! This deserved a picture all of it's own, because this was my other gift from the in-laws this Christmas. 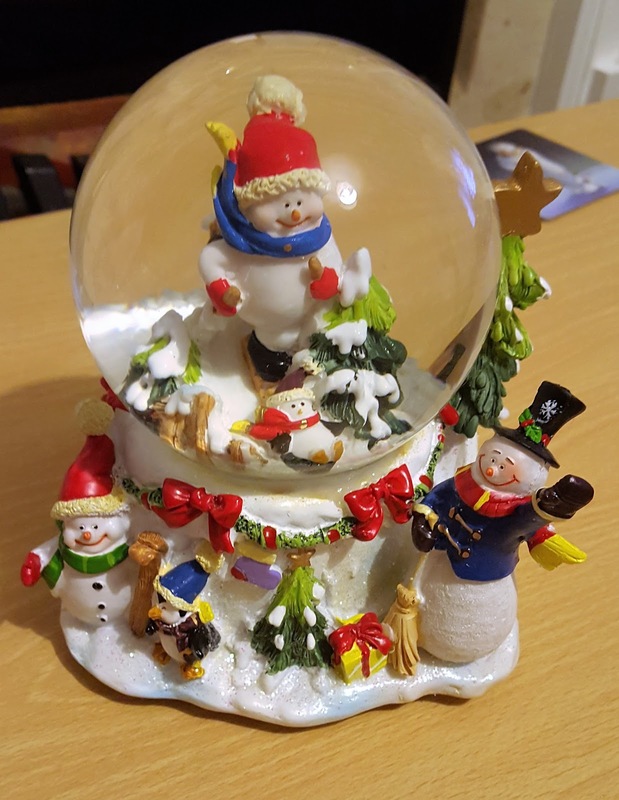 You know, besides the Pandora charm bracelet plus charm, snowman blanket, Milk Tray, My Blue Nosed Friend toy and the modesty panels...They knew I wanted a snow globe and they found me this beautiful, Christmas snow globe which plays Christmas tunes when wound up! Love! Thank you in-laws for this gorgeous snow-globe. On top of the Pandora bracelet?! You really didn't have to! But I shall cherish this ornament and bring it out every Christmas from now on. My grandparents always give me lovely presents, but I was especially lucky this year. The fluffiest, snuggliest dressing gown known to man, obviously to match my slipper booties! A jumper that is just like wearing a hug! A massive make-up box full of lip-gloss, eyeshadows, nail polish and so much more! Thank you to my grandparents who mean the world to me; they always manage to buy me the perfect gift. This year I'm going to be keeping warm while being reminded of two of my favourite people in the world! Thank you to my cousin, India, who I hear had a large part to play in the make-up box present! I need a night out now to use it all! Thank you to my godfather, and his wife, for this lovely little gift (and the red wine). It's very me! So, I really was a lucky girl this year. Guess I must have been on Santa's 'nice' list after all! I'm so lucky, and I won't forget that! What presents did you get for Christmas? What are your favourites? Let me know in the comments!